Mr. Peter Morris joined the Board of the Jamaica National Building Society (JNBS) in 1993. With the restructuring of JNBS and the launch of JN Bank on February 1, 2017, he was appointed to the Boards of The Jamaica National Group Limited, JN Financial Group Limited and JN Bank Limited. Mr. Morris is Chairman of JN Life Insurance Company Limited, and a Director of JN Fund Managers Limited and JN General Insurance Company Limited. He serves on the Finance, Compensation and Proxy Committees of The Jamaica National Group, the Finance Committee of JN Financial Group, and the Finance and Loans Committees of JN Bank. Mr. Morris has a Bachelor’s Degree in Economics from The University of the West Indies and an MBA in Finance from the Columbia University Graduate School of Business. 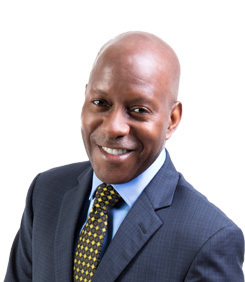 He has more than 25 years of business experience at the management and Board level in Jamaica, the United Kingdom and the United States.